Like clockwork, here’s your latest roundup. This week we’re going to be discussing further evidence of eCommerce transactions coming from mobile, why shoppers return their orders, and Google Snippets – what they are, how to get them and more. Don’t forget to sign up at the end to have these hand delivered to you weekly. If there’s one thing we’ve mentioned frequently, it’s that mobile is taking over and we’re not stopping now. 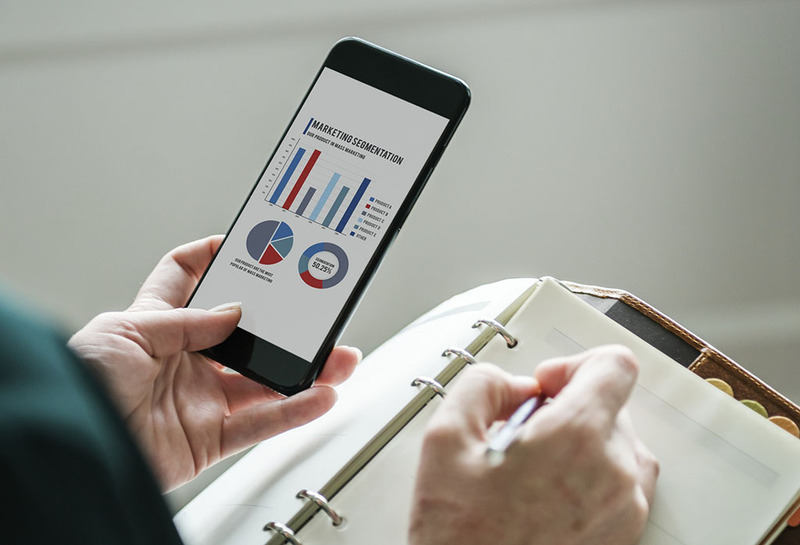 Further evidence has emerged that mobile is taking eCommerce by storm with Criteo – a performance marketing technology company – revealing that 48% of all UK eCommerce transactions now happen on mobile. That’s a rise of 6% year by year. Criteo’s latest data, combined with the ‘The Future of eCommerce: The Road to 2026’ Ovum report explores the journey towards a mobile-centric retail environment and discusses the steps that UK businesses should be taking to maximise on it. – Apps continue to be the main force that drive mobile commerce, constituting 65% of transactions on mobile devices globally and 35% taking place on the mobile web. – The most advanced UK retail industries in the journey towards mobile commerce are fashion and luxury, holding 55% of all eCommerce transactions that take place on mobile. – 39% of UK eCommerce transactions now involve multiple devices along the path to purchase but we’ve discussed that with you before. Royal Mail Study: Why Do Shoppers Return Online Purchases? What is it that makes an online shopper return what they’ve bought? 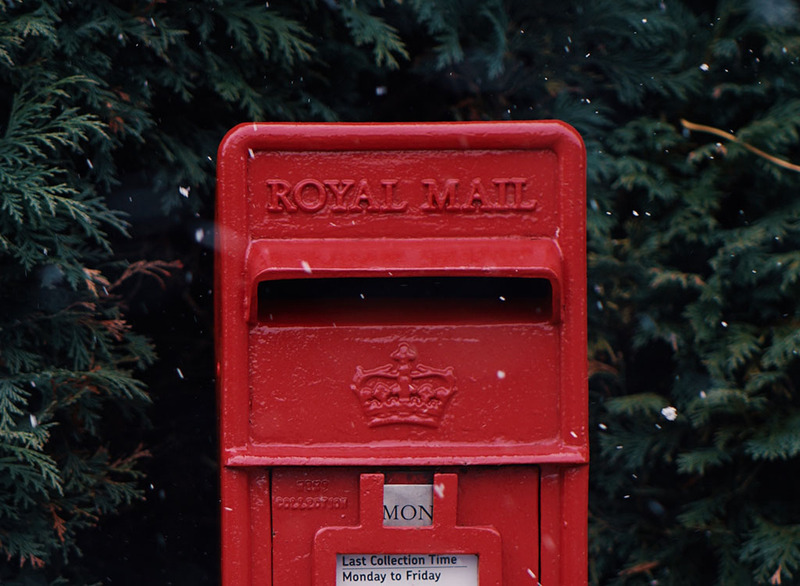 According to new Royal Mail research, buyers send products back when they fail to live up to their expectations, but what is that supposed to mean? We love to stay up to date on the latest web design trends. The more superfluous, the better. However there are some decent trends out there, which are actually being followed – but are also killing your conversion rate. Want to know what they are? Good job CrazyEgg told us! As you’ll know, it’s the large visual that spans across a home page. Most of them have no content, which can cause trouble. So what’s bad about this one? Without clear and persuasive copy, the visual can stop visitors getting past the home page and into the sales funnel. 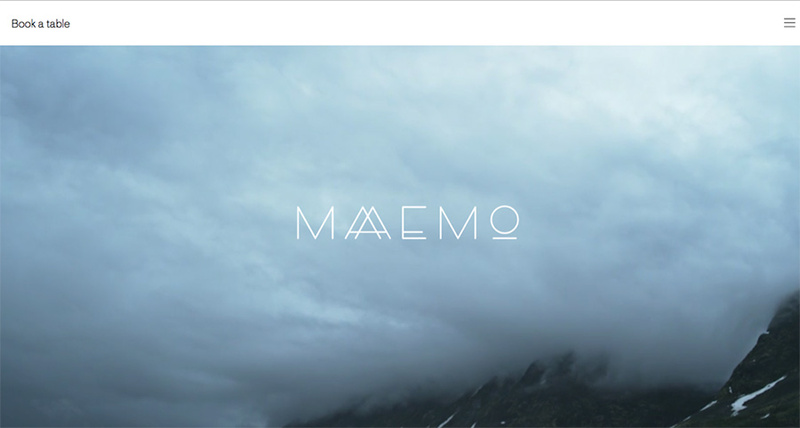 – The visual reinforces the headline and the teacher guides you to read the message. Clever. – Supporting text is present outlining the value of KinderCare. – The copy speaks to new customers too. What Are Featured Snippets and How Do We Get Them? A featured snippet is a summary of an answer to a user’s query that is displayed at the top of Google search results. It’s normally extracted from a web page that includes the page’s title and URL. You’ve got 3 types of snippets, depending on the query: Paragraph, List and Table. According to Rob Bucci at STAT, paragraph snippets are most common, occupying 82% of all featured snippets, with list snippets appearing in at 10.8% and table snippets at 7.3%. 1. Analyse keyword opportunities – use the right tools to start searching for keywords to target. Find the right opportunity that could be ideal for your site. 2. Create new strategic content targeted at snippets – Why not create new content with snippets in mind? As long as it doesn’t result in un-natural content, consider one of the three layouts to make it “snippet-able”. 3. Bring in Q&A formatting – this one is nice and easy. Dedicate a whole page to questions your customers might be asking or if you can’t, find a way to incorporate FAQ into content. It doesn’t use the primary content on the page, but rather pulls from the comments section instead. 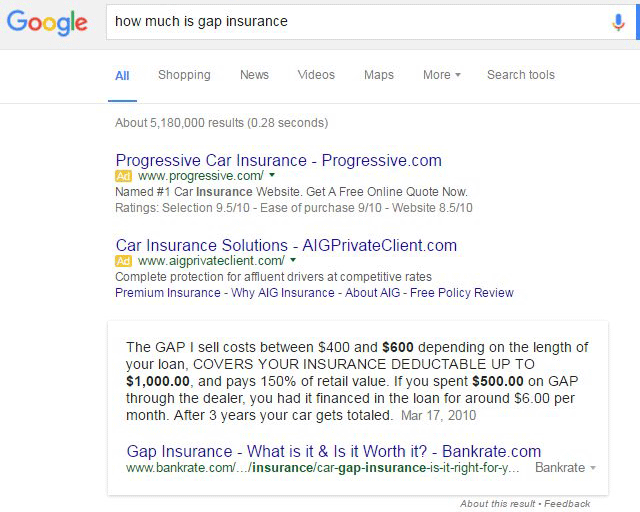 The query was “how much is gap insurance” and a page for Bankrate.com appears, but the content in the featured snippet is from the comments section. It’s not just any comment, either. It’s from Disqus comments that you need to expand to see it anyway. This is really interesting, for a few reasons. 1. Google should be using primary content for featured snippets. 2. Google should not use user generated content for snippets – when is there ever true accuracy? 3. This comment is hidden! It’s in a hidden click to expand area, which Google has said they don’t index or rank well. What a weird one. Mobile Internet Access in Europe: What does this mean for eCommerce?